The basis of our Scientific Advisory Board (“SAB”) is thought leadership. We are looking to pool our collective experience and explore new strategies and directions with the objective of improving clinical research. All of our members have been proactive in evolving study designs and using new technology, techniques, practices and analyses to cut research costs and minimize approval times. Our regular meetings focus on cooperatively furthering these efforts. Bracket has always collaborated with a diverse group of external researchers to both design and deliver on our Rater Training and Quality Assurance programs. These collaborations include product design, consultation on data findings and reviews, and prospective research programs to validate our methodologies and identify new approaches. Dr. Nemeroff was born in New York City in 1949 and educated in the New York City Public School System. After graduating from the City College of New York in 1970, he enrolled in graduate school at Northeastern University and received a Master’s degree in Biology in 1973. He received his MD and PhD (Neurobiology) from the University of North Carolina at Chapel Hill. His residency training in psychiatry was conducted at both the University of North Carolina and at Duke University, after which he joined the faculty of Duke University. At Duke he was Professor of Psychiatry and Pharmacology and Chief of the Division of Biological Psychiatry before relocating in 1991 to Emory University School of Medicine in Atlanta, Georgia, where he served as the Reunette W. Harris Professor and Chairman of the Department of Psychiatry and Behavioral Sciences until 2008. In 2009 he joined the University of Miami Leonard M. Miller School of Medicine as the Leonard M. Miller Professor and Chairman of the Department of Psychiatry and Behavioral Sciences. His research has concentrated on the biological basis of the major neuropsychiatric disorders, including affective disorders, schizophrenia, and anxiety disorders. His clinical research is focused on the use of genetic, neuroendocrine, neuroimaging and neurochemical methods to comprehensively understand the pathophysiology of depression. In recent years he has uncovered the neurobiological mechanisms that mediate the increased risk for depression in victims of child abuse. He has also contributed to seminal findings in the burgeoning area of research concerning the relationship of depression to cardiovascular disease. Dr. Nemeroff has received numerous honors including the A.E. Bennett Award from the Society of Biological Psychiatry (1979), the Judith Silver Memorial Young Scientist Award from the National Alliance for the Mentally Ill (1989), both the Kempf Award in Psychobiology (1989) and the Samuel Hibbs Award (1990) from the American Psychiatric Association, and the Gold Medal Award and the Research Prize (1996) from the Society of Biological Psychiatry. In 1993 he was awarded the Edward J. Sachar Award from Columbia University and the Edward A. Strecker Award from The Institute of Pennsylvania Hospital. In 1997, he was the recipient of the Gerald Klerman Award from the National Depressive and Manic-Depressive Disorders Association and the Selo Prize from the National Alliance for Research in Schizophrenia and Depression. In 1998 he was the recipient of the Research Award in Mood Disorders from the American College of Psychiatrists and in 1999 he received the Bowis Award from the same organization. He was awarded the Menninger Prize in 2000 from the American College of Physicians, the Research Award from the American Foundation for Suicide Prevention in 2001, and the Burlingame Prize from the Institute of Living in 2002. In 2006 he received the American Psychiatric Association Research Mentoring Award and Vestermark Award, and in 2008 The Judson Marmor Award for Research. Dr. Nemeroff served as the Editor-in-Chief of Neuropsychopharmacology from 2001-2006. With Alan F. Schatzberg, MD, he is co-Editor of the Textbook of Psychopharmacology, now in its Fourth Edition, published by the American Psychiatric Press Inc. He has served on the Mental Health Advisory Council of the National Institutes of Mental Health and the Biomedical Research Council for NASA. He is past President of the American College of Neuropsychopharmacology and the American College of Psychiatrists. He is currently a member of the Board of Directors of the American Foundation for Suicide Prevention, and the Anxiety and Depression Association of America. He served as chair of the APA Committee on Research Training. In 2002 he was elected as a member of the Institute of Medicine of the National Academy of Sciences. He has published more than 975 research reports and reviews. Paul Aisen, M.D., has been appointed founding director of USC ATRI. Aisen has been a leading figure in Alzheimer’s disease research for more than two decades, having developed novel methodologies as well as designed and directed many large therapeutic trials. He received his B.A. in biochemistry and molecular biology from Harvard and his medical degree from Columbia. He completed his residency at Case Western Reserve University in Cleveland and Mount Sinai Medical Center in New York, and then fellowship training in rheumatology at New York University. After serving as chief medical resident at Mount Sinai, he began a solo practice in internal medicine and rheumatology in New York. Aisen joined the faculty of Mount Sinai in 1994 and was recruited to Georgetown University in 1999 as a professor of neurology and medicine. That year, he founded the Memory Disorders Program, a clinical and research program for Alzheimer’s disease and related disorders. He continued basic research studies on therapeutic targets and biomarkers and designed and directed multicenter therapeutic trials. He became vice chair of the Department of Neurology at Georgetown in 2004. From 2007 through 2015, he was professor in the Department of Neurosciences at the University of California, San Diego and director of the Alzheimer’s Disease Cooperative Study. Jeffrey L. Cummings, MD, ScD, is Director, Cleveland Clinic Lou Ruvo Center for Brain Health in Las Vegas, Nevada and Cleveland, Ohio. He is the Camille and Larry Ruvo Chair of the Neurological Institute of Cleveland Clinic and Professor of Medicine (Neurology), Cleveland Clinic Lerner College of Medicine of Case Western Reserve University. Dr. Cummings is interested in clinical trials, developing new therapies for brain diseases, and the interface of neuroscience and society. Dr. Cummings completed Neurology residency and a Fellowship in Behavioral Neurology at Boston University, Boston, Massachusetts. US training was followed by a Research Fellowship in Neuropathology and Neuropsychiatry at the National Hospital for Nervous Diseases, Queen Square, London, England. Dr. Cummings was formerly Professor of Neurology and Psychiatry at UCLA, director of the Mary S. Easton Center for Alzheimer’s Disease Research at UCLA, and director of the Deane F. Johnson Center for Neurotherapeutics at UCLA. He is past president of the Behavioral Neurology Society and of the American Neuropsychiatric Association. Dr. Cummings has authored or edited 39 books and published over 650 peer-reviewed papers. Principal Consultant, Metis Cognition Ltd.
Honorary Senior Lecturer, Imperial College, London. B.Sc. Psychology, University of HertsDiploma in Classical Studies, Open University.B.A. Classical Studies, Open University (expected 2014).Ph.D. Faculty of Science, University of London. Currently studying for a PhD in classical reception myth at Open University. Currently an Honorary Senior Lecturer in the Dept. of Medicine at Imperial College London and Principal Consultant at Metis Cognition Ltd. Metis is an applied psychology practice established to advise pharmaceutical companies on the selection and successful integration of cognitive testing into their development programs. At the time of writing Metis provide consultancy to more than 40 companies involved in the development of new drugs for CNS indications. 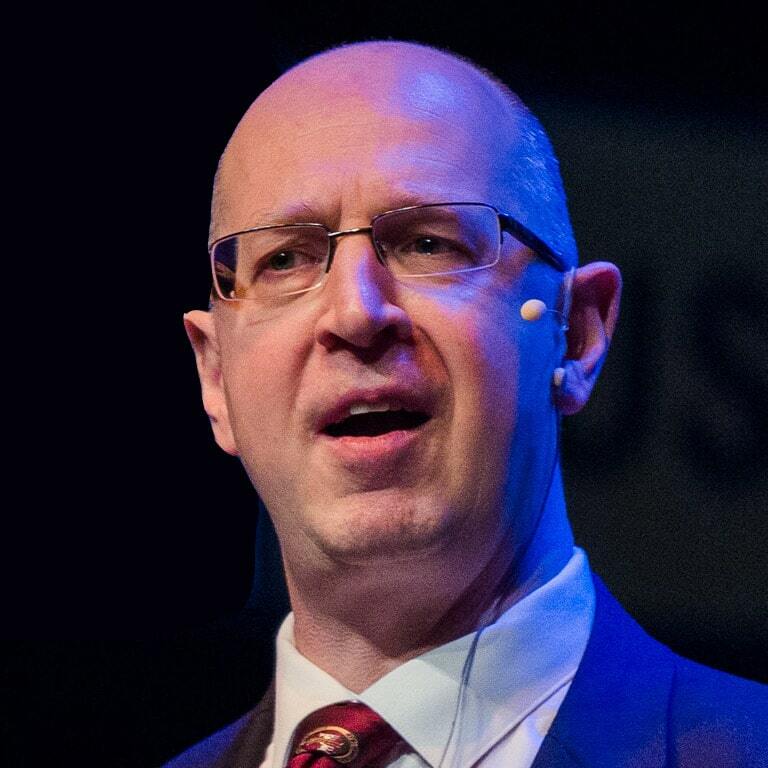 Dr. John Harrison has trained and presented on CNS outcome measures at more than 200 investigator meetings at locations in Europe, Japan, Australia, Canada, the United States and South America. In addition, he speaks routinely on the use of cognitive testing at international meetings, including the American Alzheimer’s Association roundtable events and the European Task Force for Alzheimer’s disease. Dr. Harrison also serves as Co-Chair of the THINC cognitive dysfunction in depression group and on various medical education faculties. Dr. Mary Sano is Professor of Psychiatry and the Director of the Alzheimer’s Disease Research at Mount Sinai School of Medicine. She is also the Director of Research and Development at the Bronx Veterans Administration Hospital. Currently she is the director of a national multi-center study known as CLASP (Cholesterol Lowering in Alzheimer’s Disease to Slow Progression). Dr. Sano is a neuropsychologist by training and has been involved in designing and conducting clinical trials for Alzheimer’s disease, Parkinson’s disease, and mild cognitive impairment of aging. In 1989 she received the Florence and Herbert Irving Clinical Research Career Award to develop methodologies for the assessment of therapeutic agents in Alzheimer’s disease. She directed the first ADCS multicenter trial of vitamin E and Selegiline, treatments which delayed the clinical progression of Alzheimer’s disease and in 1998 she received the Veris Award for this study. In this study minority participation was more than double that of any other clinical trial for this disease. Her research interests are in clinical trial design and the impact of pharmacological treatments on the functional abilities of individuals with cognitive impairment. At present she is the director of a new clinical study to determine if home based assessments can be used assess treatments for the prevention of cognitive loss and dementia. She has also developed tools to assess the economic impact of subtle cognitive changes in elderly subjects. Other areas of interest include the role of depression in cognitive impairment and dementia, womens’ attitudes about prevention of memory loss, and measuring quality of life in diseases of aging. She is also the recipient of the Alzheimer Association grant to study Resveritrol, one of the active ingredients in red wine. Dr. Sano has also conducted work characterizing the cognitive impact of head injury, Sickle Cell disease, and mitochondrial disorders. Dr. Reisa Sperling is a neurologist specializing in the early detection and treatment of Alzheimer’s disease. 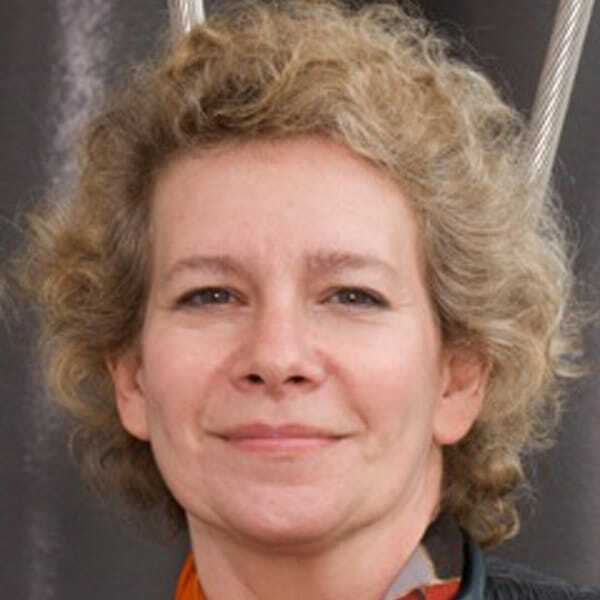 She is a Professor in Neurology at Harvard Medical School, Director of the Center for Alzheimer Research and Treatment at Brigham and Women’s Hospital, and Director of Neuroimaging for the Massachusetts ADRC at Massachusetts General Hospital. She is the Principal Investigator of the Harvard Aging Brain Study, funded by a NIA Program Project grant. Dr. Sperling led the NIA-Alzheimer’s Association workgroup to develop guidelines for “Preclinical Alzheimer’s disease,” and currently serves on the Advisory Council of the National Institute on Aging. She is the Project Leader for the ADCS Anti-Amyloid Treatment in Asymptomatic AD (A4) study – a three-year secondary prevention trial in 1000 clinically normal older individuals with PET amyloid imaging evidence of early Alzheimer’s disease pathology. She is also one of the 2015 awardees of the AAN Potamkin Prize. 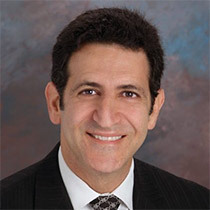 Marwan Sabbagh, MD, FAAN, CCRI, is a neurologist and the director of the Alzheimer’s Disease and Memory Disorders Division at Barrow Neurological Institute at Dignity Health St. Joseph’s Hospital and Medical Center in Phoenix. He is board certified by the American Board of Psychiatry and Neurology. Dr. Sabbagh’s expertise includes Alzheimer’s disease and dementia. He is a member of the American Academy of Neurology and Arizona Geriatric Society. Dr. Sabbagh received his medical degree from the University of Arizona College of Medicine in Tucson. He completed his internship at Good Samaritan Regional Medical Center. Dr. Sabbagh completed his residency at Baylor College of Medicine in Houston in neurology and completed his fellowship in geriatric neurology and dementia at the University of California – San Diego, School of Medicine. Dr. Sabbagh’s research interests include clinical trials of medications to treat or prevent Alzheimer’s and research on Down syndrome. 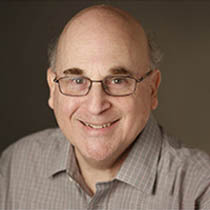 Jeffrey A. Lieberman, MD, is a physician and scientist who has spent his career of over 25 years caring for patients and studying the nature and treatment of mental illness. Jeffrey A. Lieberman, M.D., is the Lawrence C. Kolb Professor and Chairman of Psychiatry at the Columbia University College of Physicians and Surgeons and Director of the New York State Psychiatric Institute. He also holds the Lieber Chair for Schizophrenia Research in the Department of Psychiatry at Columbia and serves as Psychiatrist in Chief at NewYork-Presbyterian Hospital – Columbia University Medical Center. 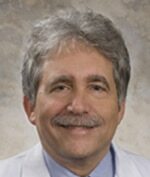 Dr. Lieberman received his medical degree from the George Washington School of Medicine in 1975. Following his postgraduate training in psychiatry at St. Vincent’s Hospital and Medical Center of New York Medical College, he was on the faculties of the Albert Einstein College of Medicine and Mount Sinai School of Medicine. Prior to moving to Columbia University, he was Vice Chairman for Research and Scientific Affairs in the Department of Psychiatry and Director of the Mental Health and Neuroscience Center at the University of North Carolina at Chapel Hill School of Medicine. Dr. Lieberman’s research has been supported by grants from the National Institutes of Health and the NARSAD, Stanley, and Mental Illness Foundations and has focused on the neurobiology, pharmacology and treatment of schizophrenia and related psychotic disorders. In this context, his work has advanced our understanding of the natural history and pathophysiology of schizophrenia and the pharmacology and clinical effectiveness of antipsychotic drugs. In terms of the latter, he served as Principal Investigator of the Clinical Antipsychotic Trials of Intervention Effectiveness Research Program (CATIE), sponsored by the NIMH. He also currently serves as Principal Investigator on the newly awarded NIMH contract Recovery After an Initial Schizophrenic Episode (RAISE) and will lead a multi-institution research team in developing and testing an evidence-based strategic intervention for early psychosis to demonstrate how treatment at the onset of symptoms can prevent the debilitating effects of schizophrenia and related psychotic disorders. His work has been reported in more than 450 articles in the scientific literature and he has edited or co-edited 12 books, including the textbook Psychiatry, currently in its third edition; Textbook of Schizophrenia, Comprehensive Care of Schizophrenia; Psychiatric Drugs; and Ethics in Psychiatric Research: A Resource Manual on Human Subjects Protection. He also serves, or has served, as Associate Editor of the American Journal of Psychiatry, Biological Psychiatry, Neuropsychopharmacology, Acta Psychiatrica Scandinavica, Schizophrenia Research, Neuroimage, International Journal of Neuropsychopharmacology, and the Schizophrenia Bulletin. Dr. Lieberman is a member of the National Academy of Sciences Institute of Medicine and a fellow of the American Association for the Advancement of Science (AAAS). He is a recipient of the Lieber Prize for Schizophrenia Research from NARSAD, the Adolph Meyer Award from the American Psychiatric Association, the Stanley R. Dean Award for Schizophrenia Research from the American College of Psychiatry, the APA Research Award, the APA Kempf Award for Research in Psychobiology, the APA Gralnick Award for Schizophrenia Research, the Ziskind-Somerfeld Award of the Society of Biological Psychiatry, the Ernest Strecker Award of the University of Pennsylvania, the Exemplary Psychiatrist Award from the National Alliance of the Mentally Ill, and the Lilly Neuroscience Award from the Collegium Internationale Neuro-Psychopharmacologicum for Clinical Research. He is or has been a member of the advisory committee for Neuropharmacologic and Psychopharmacologic Drugs of the Food and Drug Administration, the Planning Board for the Surgeon General’s Report on Mental Health, the Committee on Research on Psychiatric Treatments of the American Psychiatric Association (APA), the APA Work Group for the Development of Schizophrenia Treatment Guidelines, the Brain Disorders and Clinical Neuroscience Review Committee, and the National Advisory Mental Health Council of the National Institute of Mental Health. He is currently Vice President of the Collegium Internationale Neuro-Psychopharmacologicum (CINP) and chairs the Council on Research and Quality Care for the American Psychiatric Association (APA). He resides with his wife and two sons in New York City. Dr. Harvey’s research in aging has largely focused on the changes in functioning associated with aging in people with severe mental illness. This research has included studies of changes in cognitive performance, functional abilities, and real-world functioning associated with aging and with the severity of illness symptoms such as psychosis, depression, and other mood disturbances. He is also interested in cross-cultural influences on aging-related changes in functioning, including histories of educational attainment, health care disparities, acculturation to new environments, and health status. He plans to implement studies of factors which influence performance on ability-related tasks and identifying factors other than ability which influence real-world outcomes such as independence in residential status and social functioning. A final interest is the refinement of relevant and direct assessments of abilities in older people. With the changes associated with aging, such as depression, losses of those close to them, gradual development of physical limitations, and economic factors, it is important to clarify how much of the changes in real-world functioning with aging are associated with ability (cognitive or functional) as compared to other influences. Interventions aimed at improving functioning and happiness must target the actual causes of these problems, in that functional skills training or cognitive enhancement are not likely to improve problems caused by depression or physical limitations. Dr. Mark Pollack is The Grainger Professor and Chairman of the Department of Psychiatry at Rush University Medical Center. He received his M.D. in 1982 from New Jersey Medical School and completed residency and fellowship training in psychiatry at Massachusetts General Hospital where he served as Director of the Center for Anxiety and Traumatic Stress Disorders and Professor of Psychiatry at Harvard Medical School until 2011. His areas of clinical and research interest include the acute and long-term course, pathophysiology and treatment of patients with anxiety disorders including panic disorder, social anxiety disorder, PTSD and generalized anxiety disorder and associated comorbidities, development of novel pharmacologic agents for mood and anxiety disorders, uses of combined cognitive-behavioral and pharmacologic therapies for treatment refractory patients, presentation and treatment of anxiety in the medical setting, and the pathophysiology and treatment of substance abuse. Dr Pollack has received federal funding from the National Institute of Mental Health (NIMH) and National Institute of Drug Abuse (NIDA) to study the longitudinal course of panic disorder, the application of cognitive-behavioral interventions for the reduction of illicit drug use in drug abusers, the impact of terrorist attacks on the development of PTSD and course of disorder in bipolar patients, changes in brain function as assessed by MR Spectroscopy and neuropsychological testing in patients on methadone maintenance, treatment response and pharmacogenetics in refractory social anxiety disorder, treatment of sleep and examination of biomarkers in PTSD and the and use of d-cycloserine to enhance the treatment efficacy of cognitive-behavioral therapy in social anxiety and panic disorder. He has published over 300 articles, reviews and chapters, and is co-editor of the books “Challenges in Clinical Practice: Pharmacologic and Psychosocial Strategies”, “Panic Disorder and Its Treatment,” and “Social Phobia: Research and Practice” and “Ten Minute CBT”. 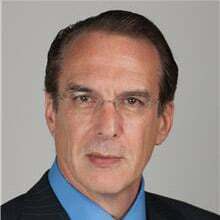 Dr. Pollack lectures widely in national and international forum and serves on numerous editorial and advisory boards. He is President of the Anxiety and Depression Association of America. He is also on the Board of Directors of the Anxiety and Depression Association of America, and has served as Chairman of its Scientific Advisory Board. Sign up now to have someone from Bracket contact you. Let us show you how Bracket eclipses the industry through Science, Technology, and Service. Why Bracket Rater Training & Quality Assurance?